Poway’s Rory Herrman has committed attend and play his NCAA Division I hockey at Arizona State University following his junior career. 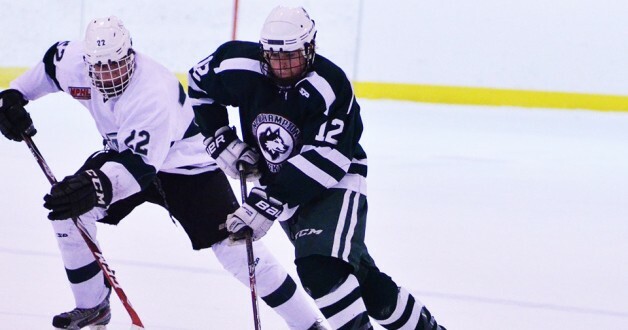 A forward, Herrman played last season at New Hampshire’s New Hampton School where he totaled 15 goals for 35 points in 37 games. He played locally for the San Diego Jr. Gulls and Los Angeles Jr. Kings before heading to prep school. He’s playing on the Anaheim Jr. Ducks’ 16U AAA team this season under head coach Alex Kim. ASU is entering its first year at an NCAA Division I program and now has three California recruits in Herrman and forward Jakob Romo (Fullerton) and goaltender David Jacobson (Calabasas).